As the gypsum directly enters into chemical reaction, the higher the percentage of CaSO4.2H2O content in gypsum the better is the plant performance and the greater is the production of ammonium sulphate. Thailand and Cambodia are the world’s major suppliers of zircon with large deposits near the border of the two countries. Vietnam, Burma, Sri Lanka and Africa also provide a large supply of these marvelous gemstones to the world market. Selenite is crystalline. It is transparent to tanslucent. 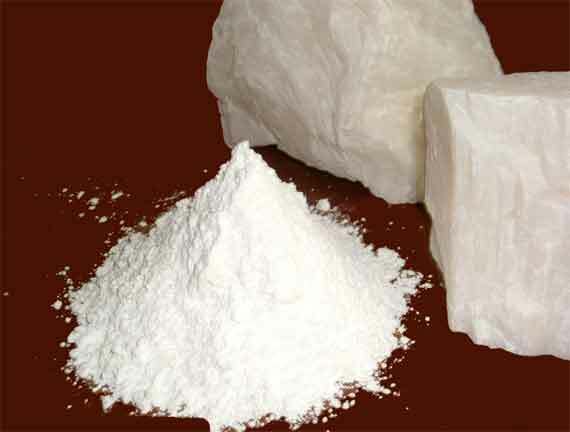 Massive variety is known as alabaster and fibrous or silky variety as satinspar, both pure white to dull white in colour unless otherwise tingled due to impurities. Commercial deposits are mostly found as marine beds. Gypsum is classed under minerals of evaporite group, though vein deposits and massive deposits in the limestone country formed due to interaction of limestone with sulphurous water are not uncommon. Bedded deposits are found associated with anhydrite (CaSo4, anhydrous gypsum), limestone, shale and clay. Gypsum beds are devoid of fossils. The origin of gypsum has been a subject of great interest in the past and continues to be a research problem for geologists today. 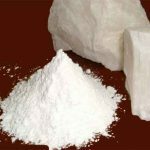 Gypsum is chiefly utilized in the manufacture of ammonium sulphate fertilizer (NH4)2SO4, plaster of Paris, distemper and cement. A considerable quantity of gypsum is used as manure. It is a good soil conditioner and gives growth of peas, beans and alfalfa. Gypsum and anhydrite can be a good source of sulphur. Anhydrite has been utilized in the UK and West Germany for the extraction of sulphur. The use of gypsum for the manufacture of gypsum-stucco for making tiles, roof planks and board products is fast increasing in USA. Stucco is the industrial name for the product obtained from the calcination of gypsum to hemihydrate stage. Gypsum has the very useful property of becoming plastic like mass when heated upto 175ºC. At this temperature it loses about 3/4th of the water molecules. The product thus obtained is known as plaster of Paris. 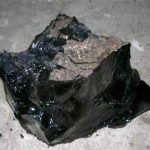 It can be mixed with water, spread and cast into different forms and sizes. It can be mixed with expanded perlite and vermiculite and made into wall plaster and castings. The silica (SiO2) and sodium chloride (NaCl), should not be more than 6% and 0.01% respectively, and it should be free from clayey meterial. As the gypsum directly enters into chemical reaction, the higher the percentage of CaSO4.2H2O content in gypsum the better is the plant performance and the greater is the production of ammonium sulphate. Ammonium sulphate is manufactured by reacting ammonium carbonate and powdered gypsum and the calcium carbonate sludge thus recovered as a by-product is utilized in the manufacture of cement. This is one of the greatest advantages in utilizing gypsum for fertilizer manufacture. Although gypsum of 75% to 85% purity is used in the manufacture of cement, yet a minimum of 82% CaSO4.2H2O is preferred. Nearly 0.04 to 0.05 tonne of gypsum is required per tonne of cement produced. 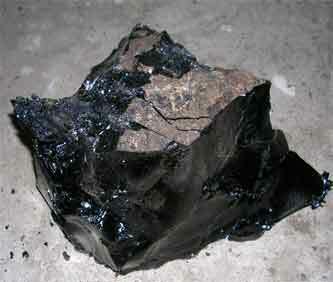 It is mixed with the clinker in the end and then crushed to form cement. It acts as retarder in quick setting of cement. 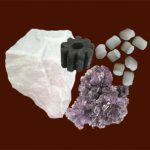 For surgical grade the selenite should be of the highest purity. 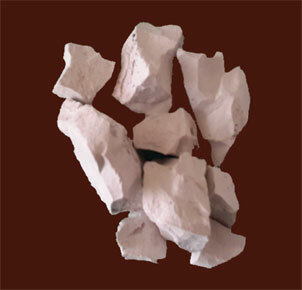 Other grades are used for making dolls and castings in pottery industry. Sometimes pure white lumpy gypsum of alabaster type is used for the Plaster of Paris manufacture. For the manufacture of distemper also pure white lumpy gypsum of high purity is required. 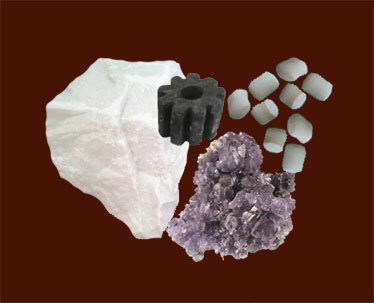 Gypsum of 75% purity and below is used as manure or as sweet-lime.